Purnima (also called Poornima, Pournima, Sanskrit: पूर्णिमा (IAST: pūrṇimā)) is the Indian and Nepali word for Full Moon. The day of Purnima is the day (Tithi) in each month in which the full moon occurs, and marks the division in each month between the two lunar fortnights (Paksha). The Shukla ("bright") Paksha is the fortnight before, and the Krishna ("dark") Paksha is the fortnight after, Purnima. 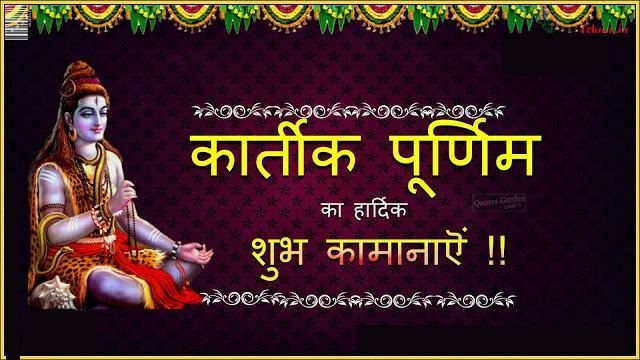 Kartik Poornima, is celebrated on the full moon day of Kartik of Nepali Calendar. It is also called Tripura Purnima. Guru Purnima, devotees offer puja (worship) to their Guru, on a full moon day. This is well known as Vyasa Purnima (Sanskrit. व्यास) after the birthday of the celebrated author of Mahabharata who is declared as the guru of all in the Shiva Purana. Madhu Purnima is celebrated on the full moon day of the month of Bhaadra. On this day Uma Maheswara Vrata as well as Shakra Vrata where Indra is worshiped for children and well-being.